This article is about the Treaty of Frankfurt of 1871. For other treaties, see Treaty of Frankfurt (disambiguation). The Treaty of Frankfurt (French: Traité de Francfort; German: Friede von Frankfurt) was a peace treaty signed in Frankfurt on 10 May 1871, at the end of the Franco-Prussian War. Lorraine: the French department of Moselle, one-third of the department of Meurthe, including the cities of Château-Salins and Sarrebourg, and the cantons Saales and Schirmeck in the department of Vosges. Gave residents of the Alsace-Lorraine region until 1 October 1872 to decide between keeping their French nationality and emigrating, or remaining in the region and becoming German citizens. Set a framework for the withdrawal of German troops from certain areas. Regulated the payment of France's war indemnity of five billion francs (due within five years). Recognized the acceptance of Wilhelm I of Prussia as German Emperor. Required military occupation in parts of France until the indemnity was paid (The French paid the indemnity quickly). The German military spoke up for control of the Alsace region, up to the Vosges (mountain range) and the area between Thionville (Diedenhofen) and Metz as a requirement for the protection of Germany. Most importantly, the German military regarded control of the route between Thionville and Metz as the most important area of control if there were ever to be a future war with France. Without a westward shift in the boundary, the new empire's frontier with France would have been largely divided between the states of Baden and Bavaria whose governments were less than enthusiastic with the prospect of having a vengeful France on their doorstep. It also would have necessitated the stationing of substantial imperial forces within these states' borders, possibly compromising their ability to exercise the considerable autonomy that the southern states were able to maintain in the unification treaty. A shift in the frontier alleviated these issues. The new political border largely (though not entirely) followed the linguistic border. The fact that the majority of the population in the new Imperial Territory (Reichsland) territory spoke Germanic dialects allowed Berlin to justify the annexation on nationalistic grounds. Natural resources in Alsace-Lorraine (iron-ore, and coal) do not appear to have played a role in Germany's fight for the areas annexed. Military annexation was the main stated goal along with unification of the German people. At the same time, France lost 1,447,000 hectares, 1,694 villages and 1,597,000 inhabitants. It also lost 20% of its mining and steel potential. The treaty of trade of 1862 with Prussia was not renewed but France granted Germany, for trade and navigation, a most-favoured nation clause. France would respect the clauses of the Treaty of Frankfurt in their entirety until 1914. France also had to pay a full payment of 5,000,000,000 francs in gold, with one billion in 1871, before any German forces withdrawal (which occurred on September 1873). This treaty polarized French policy towards Germany for the next 40 years. The reconquest of Alsace-Lorraine, the "lost provinces," became an obsession characterized by a revanchism which would be one of the most powerful motives in France's involvement in World War I. In 1918, U.S. President Woodrow Wilson addressed the issue as Point 8 in his Fourteen Points speech, expressing the will of the United States to the restitution of the region to France. Thus Alsace-Lorraine returned to the French Republic under the 1919 Treaty of Versailles. The Germans accepted to surrender under the term of the American proposal. Hartshorne, Richard (Jan, 1950). "The Franco-German Boundary of 1871", World Politics, pp. 209-250. Bas-Rhin is a department in Alsace which is a part of the Grand Est super-region of France. The name means "Lower Rhine", however, geographically speaking it belongs to the Upper Rhine region. It is the more populous and densely populated of the two departments of the traditional Alsace region, with 1,121,407 inhabitants in 2016. The prefecture and the General Council are based in Strasbourg. The INSEE and Post Code is 67. Haut-Rhin is a department in the Grand Est region of France, named after the river Rhine. Its name means Upper Rhine. Haut-Rhin is the smaller and less populated of the two departments of the former administrative Alsace region, especially after the 1871 cession of the southern territory known since 1922 as Territoire de Belfort, although it is still densely populated compared to the rest of metropolitan France. 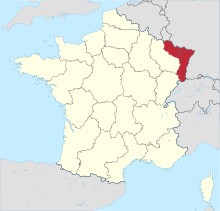 The Territoire de Belfort is a department in the Bourgogne-Franche-Comté region of eastern France. The territory of the former Alsace-Lorraine, legally known as Alsace-Moselle, is a region in the eastern part of France, bordering with Germany. Its principal cities are Metz and Strasbourg. Alsace-Moselle was part of the German Empire from 1871 to 1918, and was subsequently reoccupied by Germany from 1940 until its recapture by the Allies at the end of World War II. Consisting of the two departments that make up the region of Alsace, which are Haut-Rhin and Bas-Rhin, and the department of Moselle, which is the northeastern part of Lorraine, there are historical reasons for the continuance of local law in Alsace-Moselle. Alsace-Moselle maintains its own local legislation, applying specific customs and laws on certain issues in spite of its being an integral part of France. 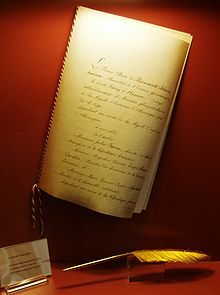 These laws are principally in areas that France addressed by changing its own law in the period 1871–1919, when Alsace-Moselle was a part of Germany. Haegen is a commune in the Bas-Rhin department in Grand Est in north-eastern France. Ingwiller is a commune in the Bas-Rhin department in Grand Est in north-eastern France. Grandfontaine is a commune in the Bas-Rhin department in Grand Est in north-eastern France. In the German dialect of the region it is called Grosbrun. 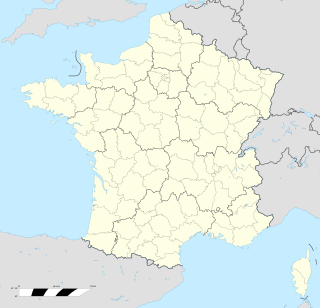 Raon-sur-Plaine is a commune in the Vosges department in Grand Est in northeastern France. Fort Jeanne d'Arc, also called Fortified Group Jeanne d'Arc, is a fortification located to the west of Metz in the Moselle department of France. It was built by Germany to the west of the town of Rozérieulles in the early 20th century as part of the third and final group of Metz fortifications. The fortification program was started after the German victory of the Franco-Prussian War, which resulted in the annexation of the provinces of Alsace and Lorraine from Germany to France. The Fort Jeanne d'Arc was part of the Moselstellung, a group of eleven fortresses surrounding Thionville and Metz to guard against the possibility of a French attack aimed at regaining Alsace and Lorraine, with construction taking place between 1899 and 1908. The fortification system incorporated new principles of defensive construction to deal with advances in artillery. Later forts, such as Jeanne d'Arc, embodied innovative design concepts such as dispersal and concealment. These later forts were designed to support offensive operations, as an anchor for a pivoting move by German forces into France. The Fortified Region of Metz comprised the central and most heavily fortified portion of the Maginot Line. The region was established in 1926 as a military organization for the French fortifications along the frontier with Luxembourg and Germany to the east of Longuyon in northeastern France, forming a shield to the north of the industrialized areas of Metz and Thionville. The region was dissolved as a military organization on 18 March 1940, its command personnel moving to the 42nd Army Corps.